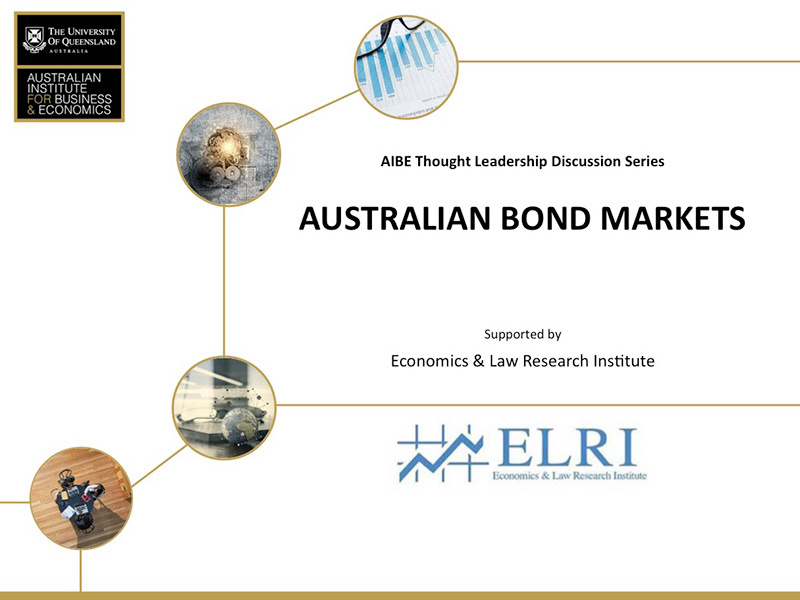 The seminar explored the Australian corporate bond market and examined the economics of expanding the domestic bond market. In comparison to foreign markets, Australia’s corporate bond market is underdeveloped, as measured by an index incorporating: size, efficiency, access, and stability. Presently, 80% of Australian corporate bond issuance in the past decade has occurred in offshore markets, where Australian companies are able to obtain longer tenors, larger sizes, at lower cost, and to lower-rated issuers than domestically. This represents a lost opportunity for the Australian financial sector. The seminar explored the barriers to development of the Australian corporate bond market from the perspectives of the issuer and investor including: investment markets heavy bias for equities, strong competition from the banking industry and a range of regulatory, institutional and taxation factors. Finally, the seminar explored the economy-wide benefits of development of the corporate bond market, as well as the benefits of an established corporate bond market for small and medium-sized enterprises (SMEs).